MyoFascial Yoga: What is fascia and why is it an important part of your yoga practice? The word Myo means ‘muscle’ and the word fascia means ‘band’ (or connective tissue), so when you hear the phrase myofascial yoga, or myofascial release, we are talking about connective bands and spaces all around and within the muscle. But fascia is so much more than that. 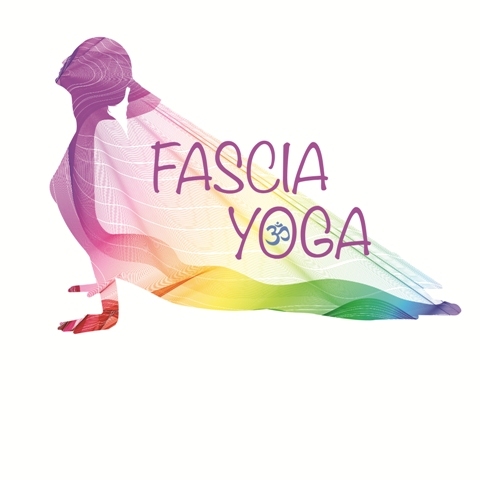 I like to think of fascia as a bridge between the physical body and the yogic energy system. Yoga philosophy teaches that there are layers of subtle energy or prana that link us to an expanded field of consciousness. 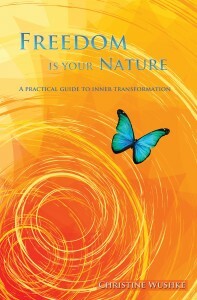 This energy body houses our life force and higher consciousness, which trickles down into our physical body. Without that ongoing process of prana entering our body, we very quickly get lethargic, depressed or sick. Part of the amazingness of yoga is how it puts practitioners in touch with the energy body. From there, we can learn how to rejuvenate ourselves on all levels. In the yogic system, the body is considered a mirror of our belief system, and our connection with Divinity. But how exactly does this work? How are subtle thoughts and beliefs held in our energy body mirrored in the physical body? How does the prana entering our system slow down or get restricted in the physical form. My feeling is that understanding fascia, and how it works as a system is the key to understanding this cosmic mystery. Let me walk you through why fascia is such an important part of your yoga lifestyle, both on and off the mat. Three reasons why fascia is important. 1. It cushions and protects: Fascia is the body’s shock absorber. 2. It’s flexible: It ensures that you can move your body freely. 3. It’s strong and supportive: It keeps everything in your body in the right place. In a healthy, happy, well-functioning body the fascial system is strong, fluid and flexible. Fascia is made of three main components: collagen, elastin, and a polysaccharide gel complex which is referred to as the ‘ground substance’ in myofascial release. Collagen and elastin work together to create a web-like formation of strong and flexible fibrils. The ground substance fills in the spaces in this web, lubricating the fibrils and cushioning the organs. These three aspects work as a harmonious system that ensures healthy movement, support, and protection of all body systems. Three reasons why releasing it is a good idea. 1. Fascial tension is oftentimes the culprit for un-diagnosable chronic pain. Chronic fascial tension and restriction can lead to a snowball effect of problems. Imagine that the web-like structure I described is interwoven with blood vessels and nerves. When the fascia is tight for a long time it begins to put undue pressure on those nerves and blood vessels, creating symptoms of pain and poor circulation. Not only that, but these restrictions spread, just like a run in a nylon stocking spreads. In addition to the tightness around pain sensitive nerves, the gel-like ground substance hardens, making assimilation of vital nutrients more difficult. The body is now working much harder than it needs to be to deliver essential nutrients throughout the body. Over time the fibrils will start to lose their elasticity and the shock absorption of the body becomes much less effective. If you have ever ‘thrown your back out’ by doing a simple movement like taking groceries out of the car, you will have experienced just that reality. Releasing these fascial restrictions is the best way to bring the body back into its harmonious balance of strength, flexibility, and protection. For a moment imagine that a dear loved one is coming to visit. You see them walking up to you with their head down, their chest collapsed and their body looking overly weighed down by gravity. What do you imagine they are feeling in this moment? Do you think they are happy? Excited? Troubled? Overwhelmed? Depressed? You can see in this example how intimately linked our internal state of being translates to a body posture. When we continue to hold a certain posture over a long period of time we are inadvertently training our fascial system to mold to that position in space. This creates a feedback loop of posture and belief. Try this little exercise to feel how this works in your own body. Start by very subtly lifting your chest up and turning your head slightly towards the ceiling. Take a deep breath in and expand your chest a little more. Then exhale and let your body relax and settle into this position. Stay here for a few more breaths, noticing what subtle sensations you feel everywhere in your body. Has your mood changed? Does your body feel different? When fascial restrictions happen in the chest area (which they tend to do when we sit at a desk all day) it becomes much more difficult to stay positive in the face of stressful life situations. When the chest is collapsed forward, it’s easier to default into negative defeatist thought patterns. When chest restrictions release, it is much easier to take a positive stance in our lives, both literally and figuratively. There are so many nerve endings (called nociceptors) resting in the layers of fascia in your body, that some consider it to be a sensory organ in and of itself. This sense is called proprioception, and it’s the sense we use to determine our body’s position in space. If you have ever been through a check stop and had to touch your finger to your nose with closed eyes, you were using your sense of proprioception. Releasing the fascial system resets the proprioception mechanism, and trains it to be more attuned to subtle shifts in position and posture. This allows for quicker course corrections when bad posture habits creep up on us. This increased ‘sixth sense’ spills over into many life situations. Have you ever wondered why some people’s ‘gut feelings’ turn out to be right? I would consider those people to have a strong proprioception. Try another little experiment to test your proprioception. Bring your awareness to your solar plexus and let it soften and relax. Bring to mind a life event that you feel positive about. Notice what subtle changes happen in your solar plexus. Then bring to mind a life situation that you feel concerned about. Notice what changes happen in your solar plexus when you feel the negative situation. Now imagine if you could train that subtle response to communicate with you effectively in real-time life situations. Maybe during a job interview, or a meeting with a potential business partner. Think of the benefits you could reap from an alert proprioceptive response! Here are three (though there are many more!) different ways you can apply myofascial release principles into your yoga practice. 1. Hold your poses much much (and in most cases MUCH) longer. 2 – 5 min is the magic window. Why? A few reasons. First, it takes that long for the ground substance to return to its healthy gel-like state and make that area more receptive to change in posture or unhealthy holding patterns. Second, it releases a chemical known as interleukin 8, which is the body’s natural anti-inflammatory. It also has cancer fighting properties! 2. Apply a little bounce. Rebounding is a term used by John Barnes which introduces a gentle rocking into the body. This motion starts to retrain healthy elasticity back into your fascial system, giving it proper flexibility and support. Imagine taking a straightening iron to curly hair, effectively making it lose its bounce. Over-stretched fascial tissue does much the same. And a loss of bounce means a loss of its shock absorbing properties, making the body vulnerable to injury. If we wanted to make the hair curly again, we would likely need to shower and shampoo to help it back to its original state. For fascia, we want to add a little bounce or wiggle into our practice. Though the bounce is best done after the pose has been released, in my classes I do rebounding in between poses; injury can result if you bounce *during* a stretch, but it’s very helpful if done right after a release has occurred. Try this sequence the next time you have finished your standing yoga poses. Stand in simple standing pose and let your knees come to a slight bend. Imagine you are standing on a trampoline and allow your body to bounce about 1 centimetre up and down. Close your eyes and feel the bounce in your whole body. Imagine that you are holding a bowl or bottle of water, and each little bounce is creating waves of motion through the whole body of water. Then imagine that water is inside you, and feel the spring-back effect of rebounding to create a whole-body wave of motion. If you can’t feel this with up and down bouncing try to do the same with a side to side sway. Or physically go and get a bowl of water and stand with it in your hands as you sway very slightly back and forth. I use cups of water in my classes to demonstrate this, and most students report the moving water visual to be the trick that made rebounding click for them. Then place the bowl of water aside and close your eyes, returning to your side to side sway; stay connected to how it felt to watch the impact of the sway on the bowl of water. Can you feel the sensation of your body as a liquid mechanism? Did you know that your body is 75% liquid? 3. Perhaps most importantly is the attitude of your approach to stretching. In MFR the main principle is to move in to the body slowly, gently, and very mindfully until the first layer of resistance is felt. The key is to gently lean into this barrier until it relaxes naturally. I like to think of that moment as though the body is graciously allowing me to enter it and make changes. To me this is the same approach as one of the most important principles of any yoga practice which is ahmisa, or non-violence. If I force through my body’s barriers, it feels violent, and usually there are no lasting results because my body resists me. To apply this attitude to stretching, make sure you move slowly and mindfully into your poses. When you first become aware of the first sensation of ‘stretch,’ stop there and wait. In time (usually about three breaths or so) you will feel the body bow to you and allow you to go further. Then lean in until you find the next sensation of stretch. Wait there for that second release, and then go for the next. Move into your pose this way until you are at your full expression of the pose. It should take you 90 seconds to two minutes to get into your full pose, and from there hold for at least another minute. When you are ready to exit your pose, do so with slow deliberation. Let your yoga practice become a dance. Think of it as entering a sacred and intimate relationship with your body. Love your body, and let it love you back; communicate with her, and co-operate with her. And in return you will begin to discover the most important relationship in your life: the relationship with your body. This body is the only lifelong friend you will ever have, there with you from the moment of your birth to the moment of your death. Understanding your fascial system is a great way to improve your relationship with your body, as well as to deepen your yoga practice. The fascia teaches us that everything in the body is connected, without exception. Getting to know this sense of connectivity from the inside helps to clarify that sense of connectivity in your whole life. We are all connected, from the cellular level to the cosmic level. Discovering this connection has been the most important realization of my life, and it can be found right here on a the yoga mat. © 2019 Freely Human. All Rights Reserved. Photos by Diane Wushke unless specified otherwise.